Discovered by Y. Sakurai, Mito, Japan, on two frames using Nikon D7100 digital camera + 180-mm f/2.8 lens, who writes there is a variable star TSVSC1-TN-S300112300-126-67-2 at 21s.88 and 51".1. 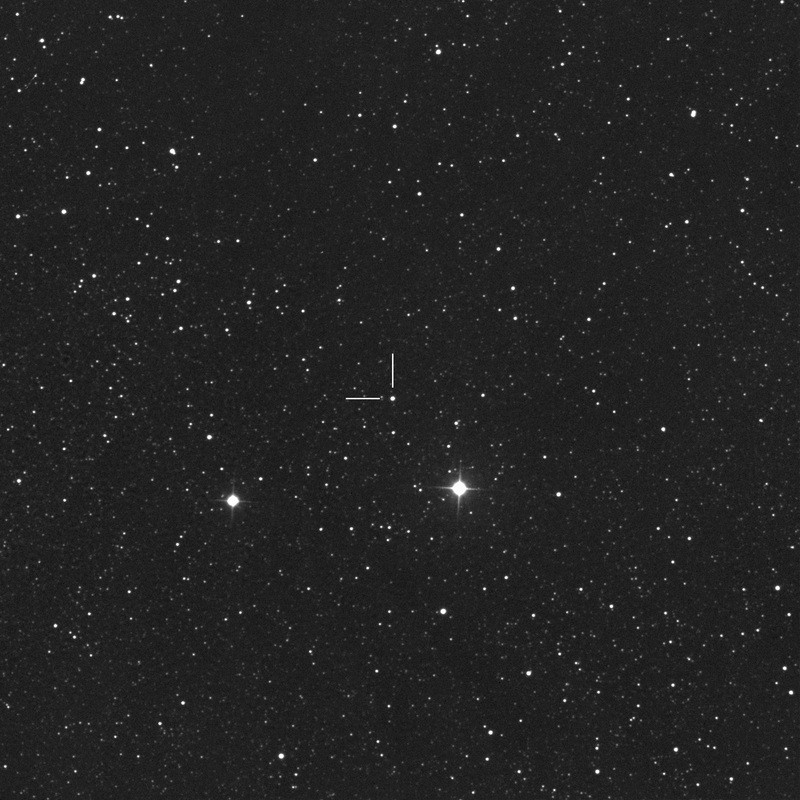 Nothing is visible at this location on a frame (limit mag.= 12.1) taken on 2018 June 23.632 UT. Photometry results were V=10.43 and Ic=9.35 with 0.61-m f/6.5 CDK astrograph + FLI PL09000 CCD, iTelescope.NET at Auberry, CA, USA. Position end figures were 22.93 and 43.9 in R.A.and Dec.
Another photometry results were B=12.16, V=10.98, Rc=10.37 and Ic=9.83 with 0.43-m f/6.8 CDK astrograph + FLI PL4710 CCD at iTelescope.NET, SSO, NSW, Australia, I took low resolution spectra but I can detected no significant feature (at leat, it is not late type star like Mira variables). 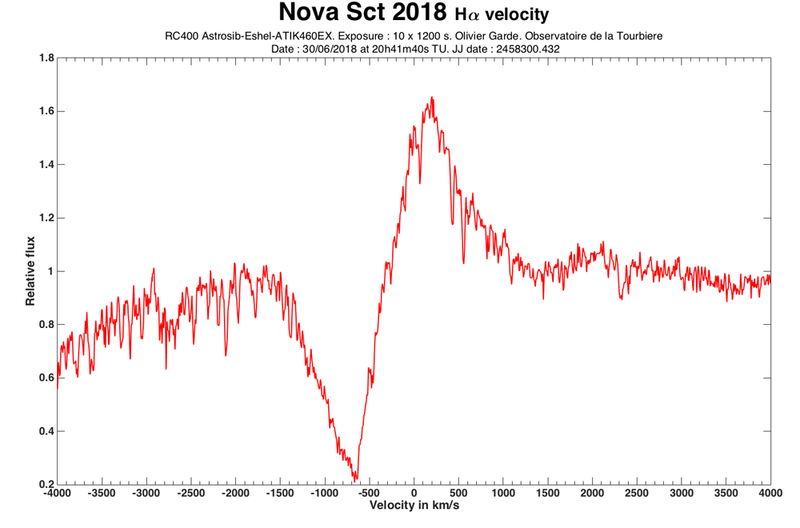 The likely nova is located 4 arc minutes NE of gamma Scuti. I'm now on this target since the beginning of the night with an echelle spectrograph (eShel from Shelyak Instrument R=11000) and a RC400 Astrosib (16 inchs telescope) and ATIK 460ex CCD. "First spectroscopic observations of TCP J18292290-1430460 (Nova Sct 2018): an optically thick classical nova"
Thank you for the alert Patrick! I did a visual estimation July 1st @ 1:40 UTC : +10.8 using my Mewlon 250CRS. No color detected because of the close Moon light. My pleasure, François and Michel. 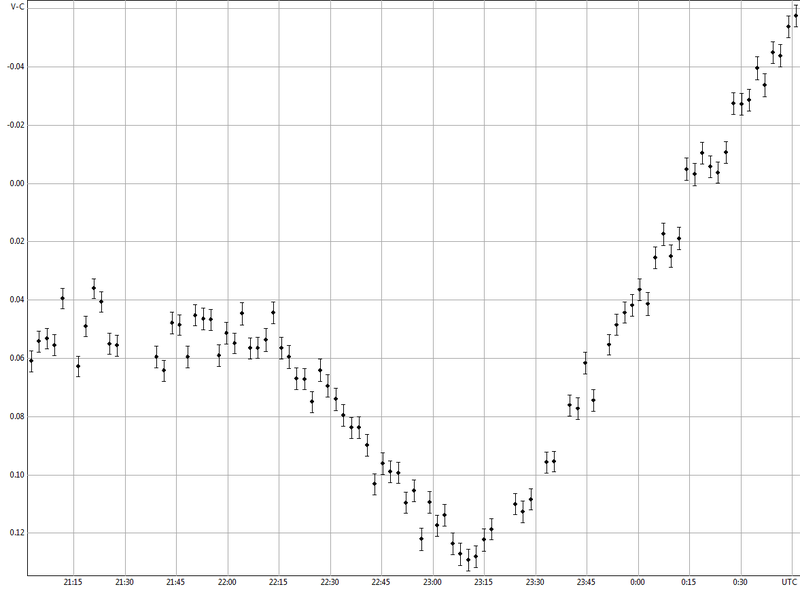 Here is a light curve done last night over 3:15 hours. This is a relative measurement. Olivier Garde advised me to seek for other light curves. So, I am posting just in case it may be interesting for anyone here. 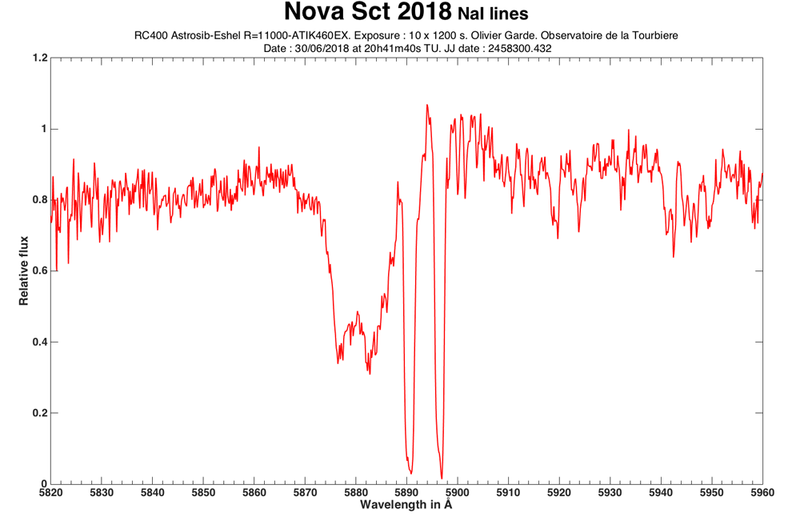 I took a series of observations June 30th local, July 1rst UT, uploaded to AAVSO , it's getting brighter..
AAVSO Alert Notice 638 announces and reports on Nova Sct 2018 = TCP J18292290-1430460. Please see notice for details and observing instructions.